RESTON, Va. - Jan. 10, 2019 - PRLog -- Advances in technology during the past two decades have led to the development of synthetically grown diamonds and treated natural diamonds which are virtually indistinguishable from natural color diamonds—posing challenges to appraisers. The American Society of Appraisers (ASA) is offering an online webinar/practical workshop on March 28, 2019 to help jewelry and gem appraisers, dealers and gemologists learn about how to detect treatments of natural and synthetic diamonds. Synthetic diamonds are grown in a laboratory instead of by the geological processes of a naturally occurring diamond. Laboratory production methods include: high-pressure high-temperature (HPHT) and chemical vapor deposition crystal formation (CVD). Synthetic diamonds are not "fake diamonds," such as "Cubic Zirconia," but are created with the same material as natural diamond, and are chemically, physically and optically identical to naturally occurring diamonds. Naturally occurring diamonds are extremely rare, forming over 1 billion – 3.3 billion years several miles under the earth's surface. Synthetic diamonds, by contrast, can be created in few days. Both groups could eb post-treated to change clarity or color. All of them are diamonds--yet their value differs significantly. 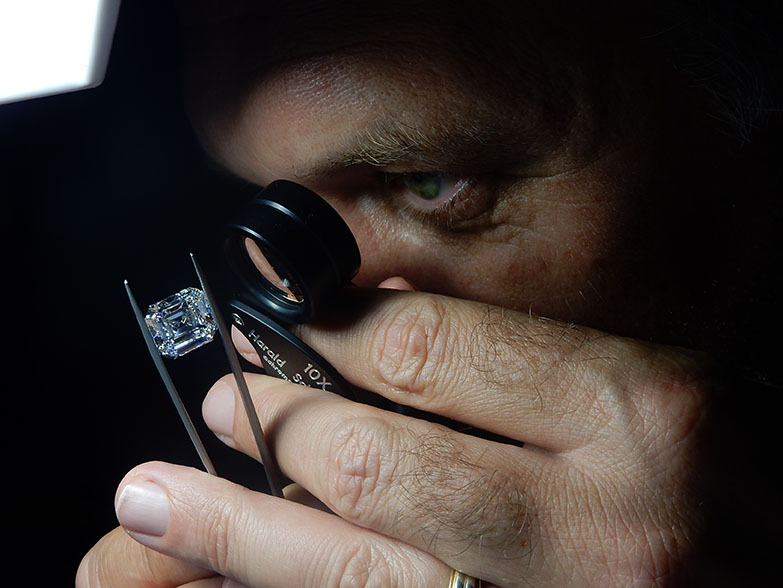 Taught by Branko Deljanin, President and Head Gemologist at CGL-GRS, Vancouver and Director of Gemmolotical Research Industry, Inc., the ASA course: "GJWEB: Treatments of Natural and Synthetic Diamonds," will teach participants to learn to identify different types of diamonds. The focus will include how to detect coated and heated diamonds and screen for the use of treatments based on high-pressure, high-temperature (HPHT) annealing, low-pressure annealing and irradiation, coatings and multi-step treatments that alter the color of diamonds. The webinar will include a 1.5 hour practical session with standard instruments and diamond samples via cameras. Deljanin is a research gemologist with extensive experience in advanced testing of diamonds and gems. Since 1999 after detecting the first colored HPHT enhanced diamonds on the market, Deljanin has spent a great deal of time studying HPHT treatments of natural diamonds and ID of synthetic diamonds and natural pink diamonds. "Visually, natural and treated diamonds can look very similar in color, but their values would differ significantly, highlighting the importance of detection," said Deljanin. "If the diamond is of synthetic origin value should be 50-60% off the same quality natural diamond." Webinar participants will learn to identify different types of diamonds and screen for the use of treatments which has become increasingly popular in the past 10 years. "Possible treatments of natural and synthetic diamonds and their relation to types will be analyzed in order to know when to send stones to an advanced lab for further testing for natural, treated or synthetic origin," Deljanin said.